Magnetic Resonance Imaging (MRI) typically collects data below the Nyquist sampling rate for imaging acceleration. To remove aliasing artifacts, we propose a multi-channel deep generative adversarial network (GAN) model for MRI reconstruction. Because multi-channel GAN matches the parallel data acquisition system architecture on a modern MRI scanner, this model can effectively learn intrinsic data correlation associated with MRI hardware from originally-collected multi-channel complex data. By estimating missing data directly with the trained network, images may be generated from undersampled multi-channel raw data, providing an “end-to-end” approach to parallel MRI reconstruction. 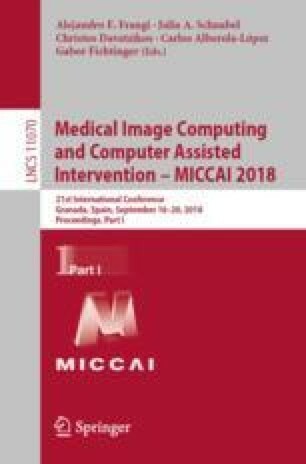 By experimentally comparing with other methods, it is demonstrated that multi-channel GAN can perform image reconstruction with an affordable computation cost and an imaging acceleration factor higher than the current clinical standard. This research is supported in part by grants from NIH R01 EB022405, NSF ACI 1443054 and IIS 1350885.